Newcomer Family Obituaries - Joseph 'Joe' Harn 1952 - 2019 - Newcomer Cremations, Funerals & Receptions. 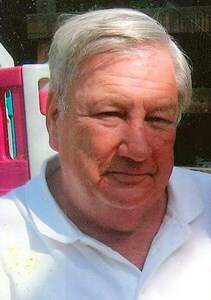 Joseph Wilson Harn, 67, of Columbus, passed away February 7, 2019. Joseph was born February 2, 1952 to the late Cecil and Decia (Miller) Harn. He ran his own business for over 40 years. He was married to Judith (Stanley) for 37 years. Joseph will be deeply missed by his wife; children Darin Harn, Tonya Harn, Jenifer Wiand; 2 grandchildren ; brother Jay Harn; sisters Connie Smith, Mary Lou Simms along with many other family and friends. Joseph was preceded in death by his son Joshua and his brother Jerry. Visitation will be Thursday, February 14, 2019 from 6pm to 8pm at Newcomer NE Chapel 3047 E. Dublin Granville Rd., Columbus. Funeral services will be Friday, February 15, 2019 at 11am at Newcomer NE Chapel where military rights will be held. Pastor Jim Baker will be officiating the service. Burial will be at Blendon Central Cemetery. In lieu of flowers, memorial contributions may be made to the Normandy Project 10405 Sawmill Rd. Powell, OH 43065. Add your memories to the guest book of Joseph Harn. We are thinking of you and your family. We have enjoyed being neighbors with you and Joe for many years now. Joe was always willing to share his knowledge of construction and painting with us. Joe hired Steven for 3 or 4 summers for work, plus breaks from school. Steven learned a lot working with Joe, and that knowledge will stay with Steven forever. We will always thank Joe for that. Our thoughts are with you Judy. I worked with Joe for a number of years it was my pleasure. Joe had a great sense of humor and was not afraid to share it with the people around him. I will hold good thoughts for Joe and his family. Great guy gone to soon. First there were 5 and now only 3. We shared childhoods, siblings and parents and therefore memories. My memories go back to how kind you were to our Mother. If you had 25 cents you would always buy Mom a little something. I remember when l was 10 and in the hospital ,it was you that bought me a tiny doll that l loved so much. We all fought like cats and dogs but l loved you always. And l knew you loved me. I am proud of the man you grew into. You have helped so many people and you were an inspiration to many whether you knew it or not. So thankful that you and Judy found one another. Love you forever brother. My sincere condolences to Judy and family. Joe was one of my favorite clients, over the past 30 years.....and grew to become someone I could call a friend, more so than a client. Joe was a good 'ol boy....we all liked and respected him....he'll be missed. We were so sorry to read about the passing of your husband! We pray for God's grace to help you through this sad time!! God Bless/RIP. A heartfelt Thank YOU, Joe for your service in The U.S. Military.. And Semper Fi.